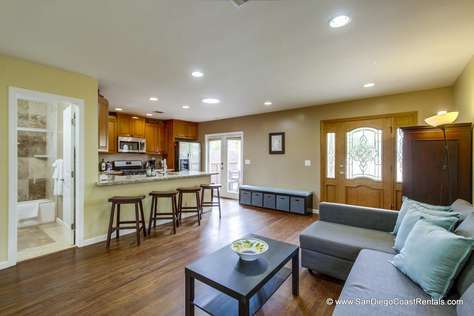 Live like a local at this 3 bd / 2 ba, single family house with fenced yard located in the exquisite neighborhood of Bird Rock La Jolla, Ca. This single story home boast a front yard grass area as well as a deck with seating for 6 guest. There is also a small backyard area and porch on the west facing side of the home. The home will accommodate up to 8 guest (6 adults max) and provides additional amenities such as central A/C, gas BBQ, some beach equipment. The home does not have off street parking however that will not be an issue as the area this home is located has ample street parking at no cost. 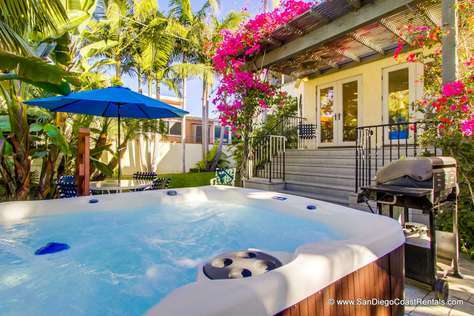 We are running super specials on this home during the summer of 2018 as it's the 1st year as a short term vacation rental so you'll have the added bonus of saving money on your accommodations while still staying in one of San Diego's most prestigious neighborhoods. We look forward to assisting you during your vacation in summer 2018!!! !